With Hunter’s unmanned alignment inspection system, Quick Check Drive™, you can now accelerate your alignment business with automated inspection. Each Quick Check Drive™ is equipped with eight cameras and 32 laser sensors that scan a vehicle’s tires as they drive past, eliminating operator labor and stopping of the vehicle. 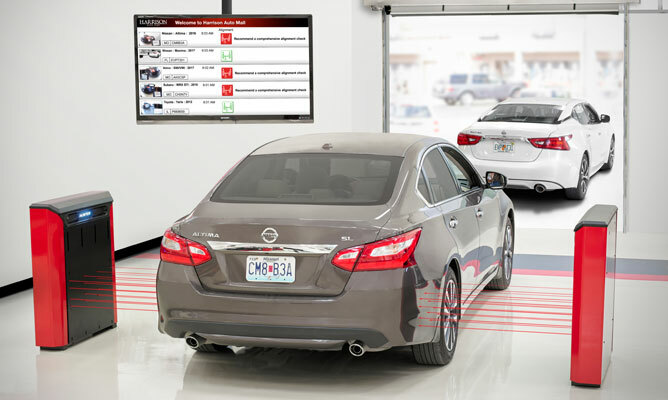 The system can scan a vehicle every 3-5 seconds, meaning no service drive backup, making it possible to check every car that visits your shop.